For too long, SUVs and estate cars (often called station wagons) have been considered better than their sedan and hatchback counterparts, but is that strictly true? We don’t think so. In fact, we can prove smaller cars are better where it really counts. Interested? Let’s find out how. Weight is the mortal enemy of fuel economy. The heavier the car, the harder your engine must work to accelerate, and even simply to maintain speed, and that burns fuel in much larger quantities. You don’t want too small an engine either, because even in a light car, a small engine will have to work much harder, burning fuel. Ideal fuel efficiency comes from light cars with powerful engines. 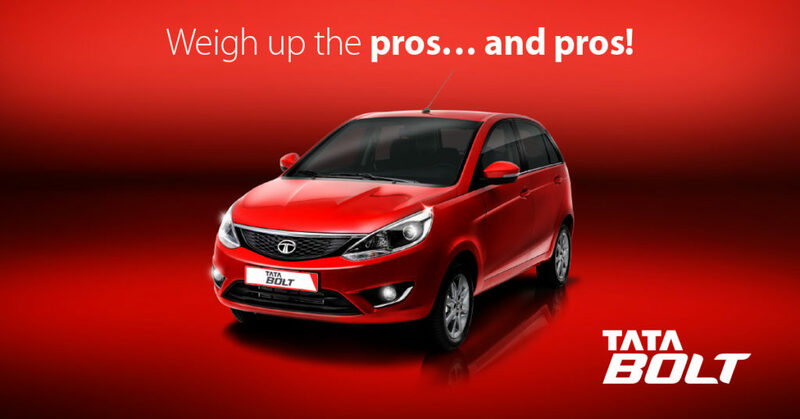 The Tata Indica and Bolt offer ample power when you put the pedal to the metal, but their small, well-engineered bodies keep weight to a minimum. There’s nothing more frustrating than a parking space that’s only slightly too small for your car, except, maybe, inconsiderate drivers who take up two spaces when parking. Nevertheless, struggling to find a parking space will become a thing of the past. Trust us when we say that parallel parking really isn’t that big of a deal when you’re behind the wheel of a smaller car. Less car, less money. Smaller cars are often cheaper to produce than their larger counterparts, but if they’re intelligently designed – the Indica for example – they have very few drawbacks. The result: a big boot, lots of legroom and space enough for three in the back without any of the cost. The Bolt even manages to include a fully featured HarmanTM Infotainment System without hurting your wallet. The bigger the car, the less manoeuvrable it’s likely to be. That means wider turning circles, more trouble on narrow roads and, usually, more bumps and scrapes. Instead, smaller cars are zippy around even the tightest turns and can get out of practically any situation with a well-executed three-point turn. You’ll be lucky if a four-point turn is enough for some of the larger cars on the market. Ultimately, it’s an argument of practicality. Larger cars are cumbersome on freeways, take up more space than is strictly necessary, jamming up the roads, and don’t exactly do wonders for the environment or their drivers’ pockets. Smaller cars like the Indica and Bolt, on the other hand, will do everything you ask of them, and more. Interested in finding out more about these incredible cars?